It’s one of the most frequently asked questions in my practice. The American Association of Orthodontics recommends that children come and receive an orthodontic consultation at seven years of age. I very rarely recommend treatment this young, but it allows me to see if there are problems such as missing permanent teeth, teeth that are unable to erupt, and skeletal malformations. Anything in the mild to moderate category does not typically require treatment or braces at an early age. My goal for phase 1 treatment is to solve problems that would only get bigger down the road. If someone comes to my office for a second opinion, more often than not it is because they wonder if their child really does need braces. Many local orthodontists recommend a palate expander and braces for every child that walks through their door. It’s like going to get your oil changed and walking out with a receipt a mile long because the person behind the counter said you needed everything they offered. Parents wonder if the same thing happened at the orthodontist. Eighty percent of the time, I tell parents the desired outcome of a beautiful smile can be achieved more efficiently in terms of cost and time with one treatment once all permanent teeth are in. If a child has a cross bite (when upper teeth fit inside lower teeth when biting down). If permanent teeth are blocked out or impacted. In this situation treatment is necessary to make sure permanent teeth come in. If there is severe overcrowding or overbite. If upper teeth sit too far over lower teeth it puts the front teeth at an increased risk of trauma. Also, certain corrective measures to treat overbite are more effective while children are growing. After teens have completed growth certain treatments are no longer an option. If there are social concerns. Many times parents want to clean up the train wreck of permanent front teeth and not wait a couple of years for all of the permanent ones to come in. An amazing smile ASAP! I get it! 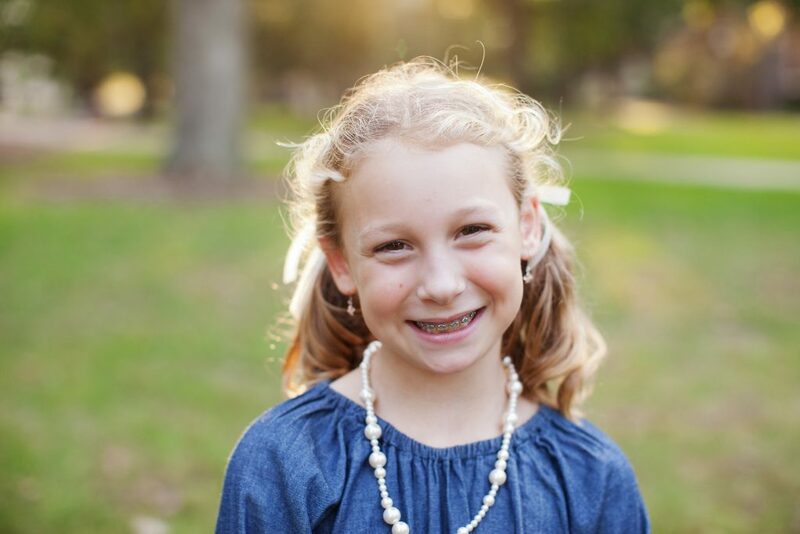 Two of my three children didn’t need braces during elementary school, but orthodontics is what I do! My point is I believe parents should have all the necessary information to make an informed choice. They should know if childhood braces are necessary, if they will get the same result if they wait, or if it is a cosmetic procedure. I will provide parents and caregivers all the necessary information to make an informed orthodontic decision. I will not over-treat or recommend unnecessary procedures, and I will let you know the most efficient way to achieve the desired result. Our commitment not to over-treat and the amazing smiles we create have been the cornerstones upon which our practice has seen incredible growth. Thanks to all our patients for trusting me and our team with your smiles. It’s an honor.